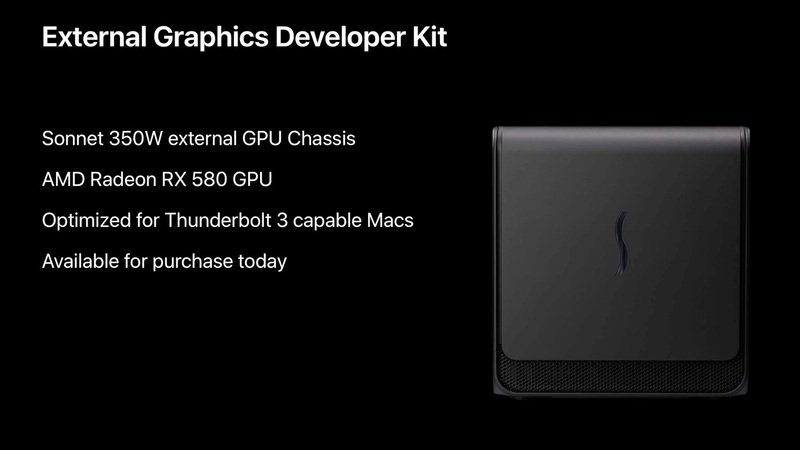 AMD、Sonnetとパートナーシップを結びeGPU Box「Breakaway Box」がThunderbolt 3接続のeGPU技術XConnectをサポートすると発表。 | AAPL Ch. Working together with Sonnet Technologies, users of compatible mobile workstation can now harness more graphics horsepower for workstation class applications and compute use cases, overcoming the limitations of many standard integrated GPU offerings. Available today, the Radeon™ Pro WX 5100 and Radeon™ Pro WX 7100 cards are now compatible with Sonnet’s eGFX Breakaway Box. The Radeon Pro WX 5100 and Radeon Pro WX 7100 cards are available from e-tailers today with a suggested e-tail price (SEP) of $499 USD and $799 USD.